India’s growth as an economic power in the Asia-Pacific (APAC) region has been consistent over the past decade. The backbone of this economic performance has been the incredibly resilient small and medium enterprises (SME) sector. Most small businesses in India run as unorganised entities or family businesses that may not necessarily maintain strict compliance standards. These businesses lack sufficient documentation and avail their working capital finance from local moneylenders, leading to insufficient credit history, thereby hindering their attempts to avail finance from formal financiers. However, these predicaments are becoming less relevant with the rise of Fintech lenders in the country. The implementation of GST helps introduce SMEs into the formal business ecosystem, as it helps create digital trails of these SMEs. The Government has mandated the digital transformation of businesses, facilitating the movement of offline businesses to online platforms, by encouraging the digital filing of taxes and relevant documentation. Fintech lenders use proprietary algorithms to evaluate the creditworthiness of SMEs basis these factors. New-age FinTech lenders adopt a fresh approach to scientifically evaluate the creditworthiness of small and medium sized businesses. All calculations are made using evolved decision sciences and predictive modelling, which contribute towards the assessment of the borrower. Additionally, the cost of underwriting certain SME segments can be significantly high. The Government has established SMEs as a priority sector and further providing banks with SME lending targets. Banks are becoming increasingly keen to attain these targets without incurring high operating costs. Banks along with NBFCs also realise the massive credit gap in the market and want to diversify their loan book by adding different types of SMEs to their client base. Fintech lenders possess customized finance products, the expertise and the technology to help banks achieve these goals. Collaboration between the two entities becomes an obvious outcome. Their partnership with FinTech players ensures banks can also effectively offer customised, innovative finance products to SMEs and hence diversify their loan book. There are different models of partnership that could be explored between banks and FinTech companies. For instance, FinTech companies could be a source of lead generation and banks could, in turn, use their financial clout to work on those leads. The two could also co-lend loans to small businesses using a hybrid marketplace model. New-age FinTech lenders can leverage their digital technologies and offer various services to banks across the loan processing cycle, starting from sourcing prospective customers to helping them in collections. Such a strategy can enable banks to increase their loan footprint with a near zero OPEX model. Deeper partnerships with FinTech players will allow banks to gain access to best-in-class technology, innovative Loan Management Systems and the opportunity to cross-sell different products to their existing client base. With so much information available online and with advancements in technology, collaborating with FinTech players also allows banks to experiment with new-age underwriting techniques. To test waters, banks could begin a partnership by running pilots with FinTech lenders and evaluate for themselves the efficiency of how new data points can act as surrogates for their traditional data sources, besides opening new vistas for small business lending. Among the prime candidates for change is the product offering. A credit solution designed to meet the working capital needs of urban SMEs is unlikely to effectively cater for rural MSMEs. It is therefore imperative to identify alternative parameters for evaluation in order to serve enterprises of a smaller scale. Such entities lack collateral to avail credit but unintentionally create patterns through their cash flows. 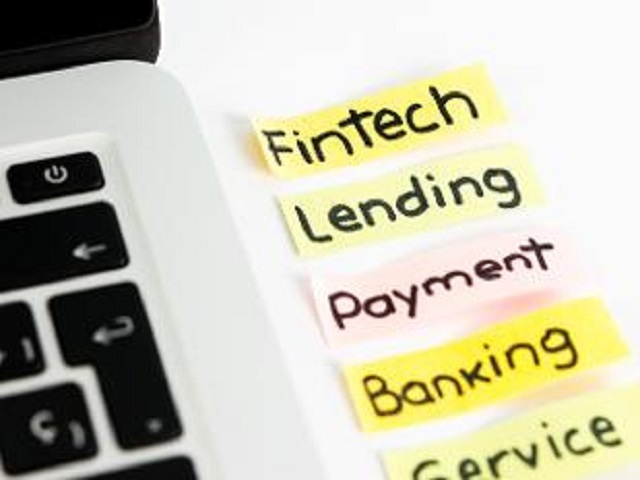 By adopting end-use monitoring or transactional history evaluation techniques, FinTech lenders are able to create customized credit offerings. With the government encouraging the use of Aadhaar, traditional financial institutions such as banks should leverage related technology and offer borrowers more secure and innovative loan products. From e-KYC to Digital Loan Agreements, the time has arrived to ensure that borrowing for SMEs becomes a hassle-free experience. FinTech lenders are technologically advanced and nimble-footed to offer the right financial product to small businesses. Collaborating with them allows banks and non-banking finance companies (NBFC) to explore new customer segments. While large banks and NBFCs have catered to SME loan requirements in the past, there is still a huge gap to be bridged between demand and supply. This needs to be addressed at the earliest so that India can continue on its remarkable growth journey. Collaborating with FinTech lenders is a sure way through which banks and NBFCs can offer differentiated loan products to SMEs while simultaneously narrowing the credit gap in the market.